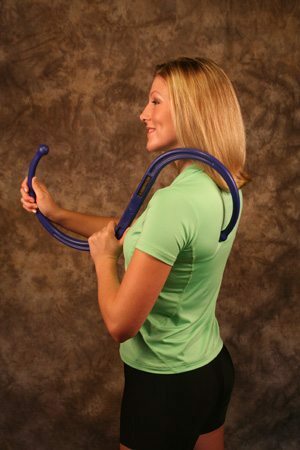 The Backnobber II massage tool is a carefully designed muscle stimulation and self-care devicethat has been a classic favourite of hands-on therapists since 1990. 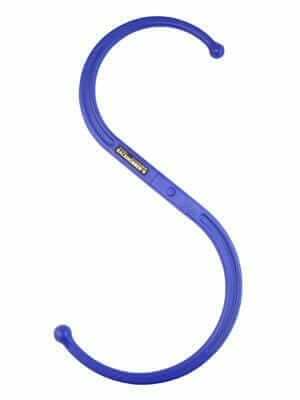 The Backnobber II is used by hooking it over a shoulder or under an arm and using its leverage to apply direct, light or deep, steady pressure making it an ideal tool for performing NST on yourself! Additionally it may be applied to trigger points in the muscles of the neck, shoulders and upper and lower back or any large or small muscle in the body where pain might occur. The Backnobber II easily clips-apart for travel and storage and comes with a fully illustrated 35 pageUser Guide. It is constructed of durable, fiberglass reinforced Nylon and carries a full guarantee.